“We had to step back and ask ourselves a simple question about what to do with our businesses. Where we have scale we can become a national champion. Where we didn’t have scale we made the decision to enable national challengers, which for us meant exiting,” he said. While this had “not been an easy decision” to take, it was the “right decision” and selling would deliver a better outcome for the company. He said that Liberty was “a bit of a hybrid” with a strong UK business and continental businesses that are at various inflection points. He said that the company was “at a bit of a low point” in this respect, but that it was down to management to demonstrate that it “could fight through the headwinds” that Liberty is experiencing in some of its continental markets. Fries said that the EC’s move to ramp up its investigation of its sale of its German and CEE assets to Vodafone was “good news” and likely meant that the transaction would not be referred back to Germany. Fries said that Liberty’s operating trends had been “pretty good” over the last year, with strong cashflow growth, but the company was “pretty undervalued” and reiterated that it was not Liberty’s practice “to sit on cash”. The most likely use of cash from the Vodafone sale will be share buybacks. “When the stock is down we are buying back more shares,” he said. Fries said that Liberty’s shares were underpriced because of this inflection point. He said that there had been “some dislocation” among the company’s stockholders. Fries said that there were no big transactions in the pipeline for Liberty. He said that the company were “not buyers in Switzerland” and had no plans for acquisitions in Belgium or the UK. 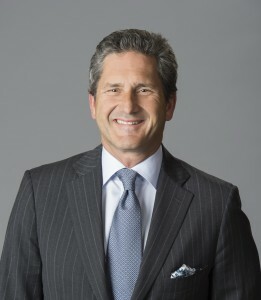 Regarding the Swiss market, Fries said that UPC Switzerland was suffering from being currently tied into an inferior MVNO agreement with Salt but that this would change in January with a new agreement with Swisscom in the pipeline, and had an out-of-date legacy video product that would be replaced with the rollout of its EOS boxes and Horizon version 4 software. Fries said that the Swiss market was “screaming for rationalisation” but that the company would be patient. He said that Sunrise – Liberty’s likely partner in consolidation – was “a great company” but that it was trading at a very high multiple. He said that in the meantime the company would focus on getting its core business right. Regarding the Netherlands, he said that there were no “buy-sell options” for a couple of years, although an IPO is a possibility, but it was “still too early” to consider options. He said that Liberty’s Dutch joint venture with Vodafone, VodafoneZiggo, had seen an improved performance in the last quarter after a tough period. He said that synergy plans “had gone up” with the prospect of improved cashflow in the future. The “unknowns” in the Dutch market are the impact of the Tele 2-T-Mobile merger and the regulation of the wholesale access market, said Fries. He said that the company was fighting the opening up of its cable network in the courts, adding that Dutch and Belgian regulators’ insistence on regulation of cable access was “unique in Europe” and was not “doing anyone any favours, including consumers”. Turning to the jewel in Liberty’s crown, Fries said that the UK’s Virgin Media was “closest to Charter or even Comcast” among the company’s businesses. “From our point of view that is the anchor growth business,” he said. Making the case that Virgin Media’s Project Lightning build-out of networks to new areas was on track to deliver a “high return”, he noted that Virgin Media’s current 14 million homes could deliver 350Mbps “tonight”, while others were still at the stage of building fibre out. Regarding Goldman Sachs’ recent investment in Cityfibre, he said that fibre overbuilders would likely avoid Virgin Media’s territory, and that it was not possible for six overbuilders to make a return if they compete with each other in the same territory. Fries shied away from the question of whether Liberty would consider a move to deconsolidate Project Lightning to take it off the company’s balance sheet – a move that had been hinted at by chief financial officer Charlie Bracken at another recent financial conference organised by Morgan Stanley. “It is such an integrated part of what we are doing that I would hesitate to say it was something we are considering seriously,” he said. However, he said, the interest of investors in such projects “validates” Liberty’s strategy. Fries also said that there was no need for Virgin Media to acquire a mobile operator to take its business forward. He said that over one in five of Virgin Media’s broadband base already bought a mobile product from the company, adding that “little things mean a lot” in terms of upselling and cross-selling to customers, and noting that Virgin had “a pretty good deal” with EE for its MVNO operation today. Regarding a possible competitive threat from Comcast-owned Sky, Fries said that he did not believe Comcast would launch a global OTT business on the back of its acquisition of Sky, something that has been speculated. “It is harder than it looks: trust me – we have looked at it,” he said. He said he believed the best strategy for Comcast would be to make NBCUniversal “the Fox in this relationship” with Sky and to focus on its core business.